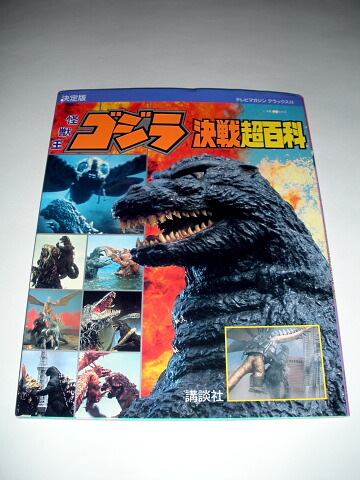 If you love the battles from the Godzilla movies beginning in 1954 and going up to 1992 then you love this book. 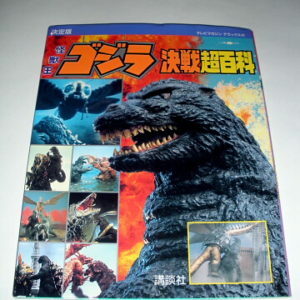 Each movie is given at least 2 pages of battle action photos in full color except for the first two Godzilla movies. Some of Godzilla’s most famous foes including Mothra, King Ghidorah, Hedorah, Gigan and Mechagodzilla are given prominent coverage. This exciting battle book has 65 pages and is 8 1/2 by 10 inches. The book is in Japanese but is primarilly a photo book. It was published in 1992.